Dr. Eric Heiden is the knee, shoulder and sports medicine specialist at Heiden Orthopedics. Although many claim “sports medicine” to be their specialty Dr. Heiden embodies the term like no other orthopedic surgeon. Earning more medals in a single Olympics than any previous Olympic athlete and setting 15 world records in his speed skating career, Dr. Heiden is a true American sports icon. At the 1980 Lake Placid Olympic Winter Games, he won the Gold in all five speed skating events, including sprint and distance, while setting four Olympic records and one world record. After retiring from speed skating, Dr. Heiden began a second career in cycling. He quickly rose to the top, winning a United States Cycling Championship and competing with the 7-11 team in the 1986 Tour de France just a few years later. By 1991, Dr. Heiden had earned his medical degree from Stanford University and was ready to begin his third career – what he considers his life work – as an orthopedic surgeon specializing in sports medicine. 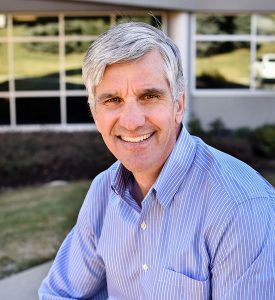 In 2006, Dr. Heiden and his wife, Dr. Karen Heiden, relocated to Park City and worked at “The Orthopedic Specialty Hospital (TOSH),” In 2008, Drs Eric and Karen Heiden established their own orthopedic practices in Park City and Salt Lake. As an orthopedic surgeon, Dr. Heiden finds that his experiences skating and cycling help him form a unique connection with his patients, many of whom are injured athletes. Fantastic Doctor. He took the time to explain what we needed to know. I would highly recommend [Dr. Gibbs] to anyone looking for a good shoulder surgeon.